Home » Will night-time photography help your home sale? As you can see in the photos of our listing at 1635 Admirals Hill Court in Vienna, a really interesting home becomes magical when lit up against an indigo evening sky. When selling your home, we want it to stand out from the crowd. Is your architecture extraordinary? Is your setting or landscaping dazzling? 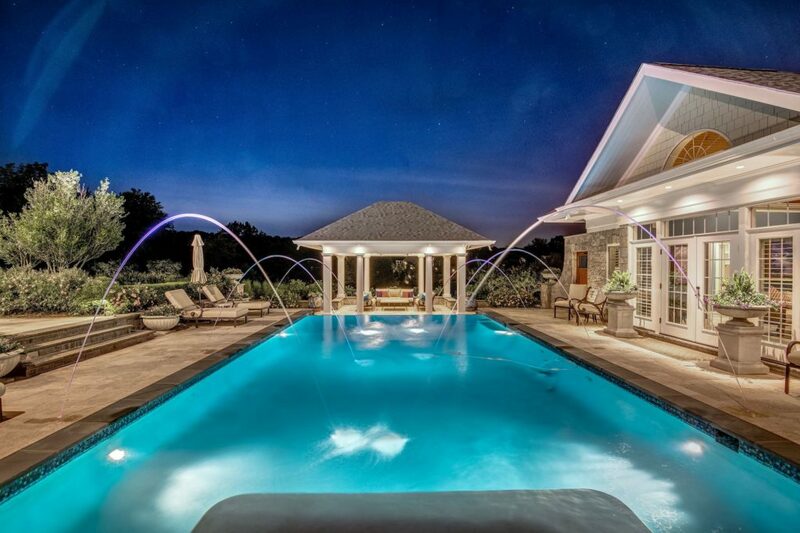 Have you made additions, outdoor entertainment areas, or added a pool or water features? If so, these can be highlighted in spectacular fashion, showing potential buyers what great parties they can have and what a dramatic place they can call home. Give us a call at 703-822-0207 to find out more. If you’d like to keep up with tips like these, local news and events, new construction projects, homes for sale, and more, please feel free to sign up for our monthly digital magazine Headed Home! We also feature restaurant recommendations, travel tips and info about what our team has been up to.